As menopause can occur at any age and as a result of various health issues. It can be, for some, a time of stress, worry and anger. Jenny is an acupuncturist who can empathise around the physical and emotional symptoms you are feeling. She will work with you to create your self-care programme to suit your individual lifestyle. Acupuncture is a gentle, natural, non-evasive and effective way to deal with the symptoms of menopause. It can help with reducing hot flushes, insomnia, irritability and anxiety. It can improve your quality of life by encouraging a positive mental attitude leading to you making additional positive changes in your life. Acupuncture Treatments are carried out in a safe, relaxed environment, which helps to support your physical, emotional and mental wellbeing. 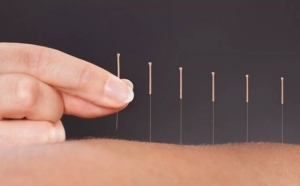 Jenny’s preferred course of treatment for menopause is to combine your acupuncture treatment with Herbal Medicine. This helps you achieve both wellness and balance.